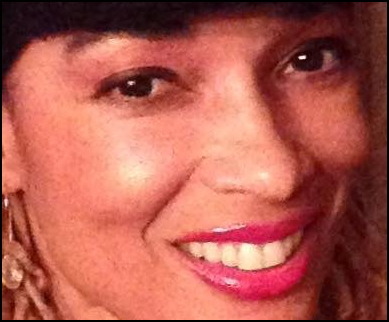 Barbados Today journalist Emmanuel Joseph interviewed Donna St. Hill – programme director for the Nigeria-Barbados student disaster that continues to unfold. The full interview is worth your time to read if only to see once again how these foreign student and employment initiatives always fall apart in Barbados. Always. Everybody tries to squeeze a little bit of the funds for themselves and their brothers and in the end there are never enough funds to complete the original goals and standards of the project. All the time. Every time. But this time there were some major feeders at the trough… or so says Donna St. Hill. From what St. Hill says, once again there was little or no oversight of employees in Barbados as St. Hill ran her end from Africa (taking her little bit of squeeze for sure). Now St. Hill is blaming Barbadian Sharon Brathwaite for misdirecting, misspending and generally being unable to account for hundreds of thousands of dollars over a relatively short four month period. It’s the students who are suffering in the end, and the money is gone gone gone. 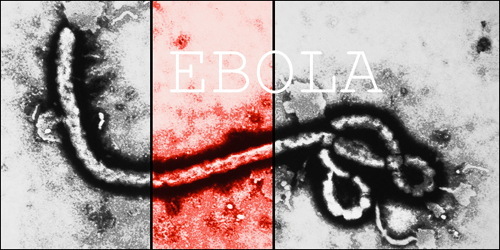 There was a letter in the Daily Nation of September 30, 2014, entitled: “Ebola a weapon of mass destruction?” written by Mr. Leonard St.Hill. The gist of what he had to say is as follows: he advises that the absence of speculation (presumably its origins) over Ebola virus raises some suspicion. He goes on to state “that too many epidemics in Africa seem to have the effect of weapons of mass destruction which can result in genocide.” He concludes that Africa is serving as a laboratory where the pharmaceutical (western) industry, use native Africans as test subjects to ascertain the efficacy of the pathogen and antidote, whilst making a financial killing. In the past in your newspapers, I have stated that persons should always stick to their areas of technical expertise and that the majority of Barbadians are scientific illiterates. Mr. St. Hill falls under both headings. He displays gross ignorance of microbiology and biotechnology and is guilty of disseminating false innuendos to an uninitiated public. Muslim animals force Christian mother to give birth while wearing prison shackles. In the early hours of May 27, 2014, Meriam Ibrahim gave birth while chained to a wall in a prison in Sudan. The Sudanese court recently confirmed she will be executed now that her child has been born. How civilized of the Muslim court to wait until the child is born. The 27 year old’s crime was to marry a Christian. She was always raised a Christian, but her father (who left before she was born) was a Muslim. And that makes her a Muslim in the eyes of the court, and apostate. The Koran says apostates should be killed so that’s the end of that. With Meriam in prison is her 20 month old son. There is no difference at all between the Islam of Sudan, and Islam elsewhere. The only difference is the percentage of the population that is Muslim. When that percentage reaches a certain level, Sharia Law kicks into play, and Sharia Law is the law. Let those millions of Muslims come forward who do not believe that Meriam Ibrahim and other ‘apostates’ should be executed for choosing another religion. 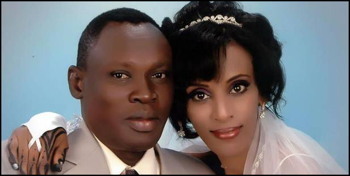 The treatment of Ibrahim by the Sudanese authorities was internationally condemned in early May, when the then heavily pregnant woman was sentenced to death for refusing to renounce Christianity, and reportedly imprisoned with her 20-month-old son. It was 350 years ago this year that a fabulously rich couple, John and Margaret Burch, arrived in Romford. They’d made their money in Barbados, exploiting slave labour to produce the bonanza crop: sugar. In 1664, they retired to England, buying Romford’s biggest estate, Gidea Hall, then usually called Giddy Hall. The mansion, demolished in 1930, stood just east of Raphael Park. Madam Burch, as she was fawningly called, brought her personal maidservant from Barbados, the ultimate status symbol. 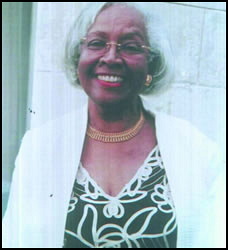 Cumba was Havering’s first black resident. A slave, a piece of property, Cumba survived the English climate just four years. Today, “blackamore” is an offensive term. But in 1668, when “black” was used to ­describe complexion, it was an attempt to identify Cumba with some dignity. The double “ff” ­indicated a capital letter. … read the entire article Cumba: Havering’s first black resident remembered on the 350th anniversary of her arrival. We know very little about Cumba, but we still know far more about her than we do about millions of other people who were enslaved with her and since. We know about the times in which she lived, and we also know a little about the socially-condoned cruelty of slave owners. I believe that much of history has been ‘cleansed’, but not all of it. What passed for ‘normal’ and ‘acceptable’ when Cumba lived gives us some idea of her personal circumstances, what she probably saw even if she was not herself subject to all of the abuses. We simply don’t know the details of her life, but we know the times. “When we finally reached Nigeria, I was certain that I had reached my resting place on earth. There would be no return to Barbados or UK”. 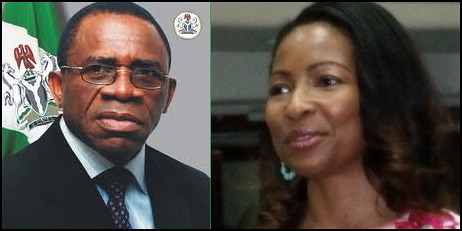 … Mrs Alison Attah, April, 2012, in an interview in Lagos. Tuesday October 29, 2013 will mark exactly one year since Mrs Nenyin Alison Attah, the former First Lady of Akwa Ibom State departed this world for eternal life. For the two children, Felicia and Christopher, and for His Excellency, Obong Victor Attah, the Father of Akwa Ibom State, it has been a long year; made longer by the absence of the centre-piece of every home – a loving wife and mother. Life had ceased to be the same for them; but life must go on.